Medical students are invited by the Office of Medical Humanities to submit abstracts for a poster presentation on March 26 at the School of Medicine’s Osler Society Spring Event. Abstracts should be no longer than one page and should mirror the content of your poster. It should begin with the complete title, the names of all coauthors, and the corresponding author’s mailing address, telephone number, and e-mail address. Authors and coauthors will be asked to give a short poster presentation. If a large number of entries are received, not all will present. Abstracts should be sent by e-mail to Steven D. Waldman, M.D., J.D., associate dean and chair of medical humanities and bioethics, at waldmans@umkc.edu no later than March 1, 2019. Poster guidelines and template will be sent once the poster abstract has been received. The theme for this year’s UMKC William Osler Poster Presentation is The Quotable Osler. 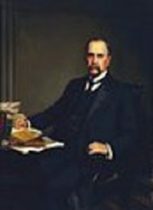 Sir William Osler was one of the most prolific authors of his time, producing more than 1,600 writings including “The Principles and Practice of Medicine,” considered to be one of the first comprehensive textbooks of modern medicine. One hundred years after his death, his pronouncements on medical issues are still considered good medicine and are often quoted to illustrate the right way to care for patients. Students should feel free to pick their favorite or least favorite Osler quote and opine on it, draw it, paint it, sculpt it, photograph it, sing it, act it, dance it, or present whatever strikes your fancy. Be Creative Because Everything Osler Is Fair Game. Prizes will be awarded for the top three places. For additional information, please contact Sarah McKee at hallse@umkc.edu.